The final four spots have been filled for the 2019 NHL All-Star Game, as a fan vote decided the “Last Men In” for the first time in league history. More than 11.5-million votes were cast in a seven-day period, selecting Buffalo Sabres left wing Jeff Skinner (Atlantic), Colorado Avalanche left wing Gabriel Landeskog (Central), Pittsburgh Penguins defenceman Kris Letang (Metropolitan) and Edmonton Oilers centre Leon Draisaitl (Pacific). Each player will represent his respective division in a three-on-three All-Star tournament, hosted in San Jose on January 26. All-Star Weekend will take place on a Friday-Saturday this year, instead of its usual Saturday-Sunday format. There’s sure to be outrage in Toronto, where Maple Leafs defenceman Morgan Rielly was snubbed. 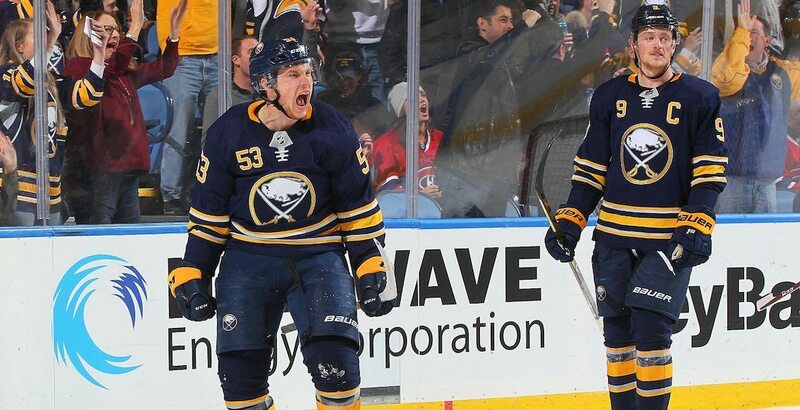 With 46 points in 43 games, Rielly is second among NHL defencemen in points, and has outscored Skinner, who was voted in ahead of him. Lightning forward Brayden Point (60 points in 44 games) holds the distinction of being the highest-scoring player not selected as an All-Star. Other notable snubs include Leafs forward Mitch Marner (57 points in 43 games) and a trio of Calgary Flames: Sean Monahan (54 points in 45 games), Elias Lindholm (51 points in 45 games), and Matthew Tkachuk (51 points in 45 games). Alex Ovechkin declined his All-Star invite, choosing rest instead. Skinner has 42 points in 43 games and is making his second All-Star Game appearance. With 37 points in 41 games, Letang is an All-Star for the fifth time. Gabriel Landeskog (51 points in 44 games) and Leon Draisaitl (54 points in 44 games) will make their All-Star debuts. The Montreal Canadiens will be the only team not represented at this year’s All-Star Weekend, as Carey Price declined an invite and was replaced by Tampa Bay goaltender Andrei Vasilevskiy. Two rookies have been chosen for the game, including Elias Pettersson of the Vancouver Canucks and Dallas Stars defenceman Miro Heiskanen.